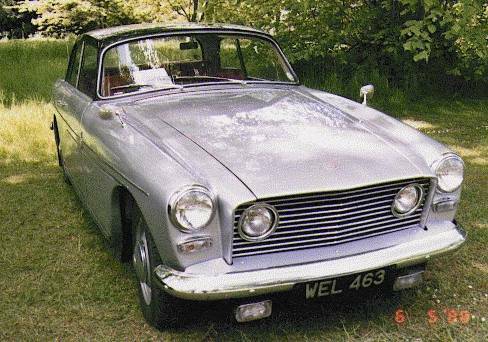 Two series were made; unusually for Bristol, the second series was named the 408 Mark 2. The Type 408 was introduced in 1963. The Mark 2 was introduced in 1965 and discontinued in 1966. The Type 408 body is easily distinguished from the Type 407 by the flat panel bearing the headlights and the rectangular radiator grille aperture with emphatically horizontal chromed slats. Note also the the more pronounced angle in the metal fitted over the cantrails and at the perimeter of the roof. 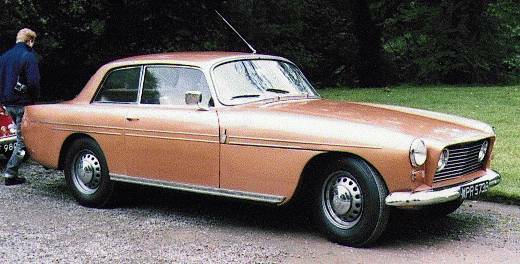 Two-tone paintwork was a standard feature of this type. Tramline style trims are applied to the flanks of the body, Pegasus badges are moved from the lower wing up to the side moulding level, and heavy duty kick plates are added to the lower body below the doors. Front side and flasher lamps have rectangular lenses. 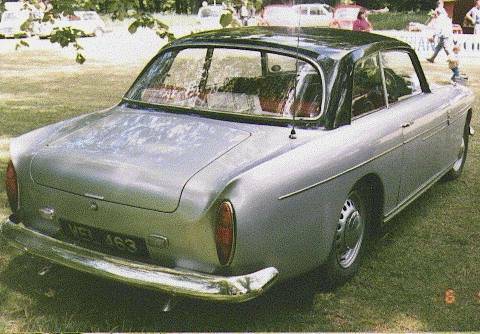 There is an adjustment rotary dial on the dash for another innovation - the Armstrong "Selectaride" shock absorbers fitted on the rear axle. Internal ventilation ducts are larger than those on the Type 407. The standard engine is 313cu.in. or 5130cc. Dash mounted buttons for the gear change selection are round. The 408 Mk2 was fitted with a 318 cu.in. (5211cc) engine and a new cast alloy gearbox, a hundredweight lighter than its steel predecessor. Dash-mounted buttons for the gear change are now rectangular. A hold lever was introduced to lock the transmission only when parking; it must be disengaged before selecting drive ratios. This front view of the 408 shows the large rectangular radiator aperture with its two driving lamps installed and the new horizontal chromed grille vanes. This rear view of the 408 shows the typical rear light arrangement, position of the Radio Aerial, the sharper roof lines enhanced by the two tone paintwork. Here a front ¾ shot shows the position of the Kickplate and the Side Trims to better effect.